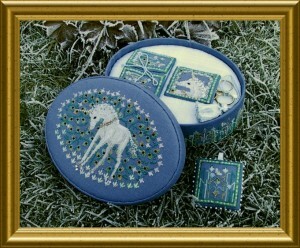 This dreamy piece is a fairytale come true – a beautiful Unicorn inmidst a meadow full of flowers ! You purchase the design only – all finishing is up to you. theme, the box top – and finish it for a cushion, framed picture or insert in a readily bought box.